Today I’m super excited to welcome one of my favorite people to the #SundaySupper table. Cathy is a neighbor, friend, and fellow blogger, baker, city dweller, Jesus lover, and justice worker. We’re kindred spirits in the truest sense of the word. That’s right folks. That is an edible turtle cake with edible baby turtle cakes on top of it!! Today, I asked her to come share with you her tips for making cute, uniform, perfect cake pops. You can check out more from Cathy at Cathyology, where she blogs about everything from justice to faith to motherhood to gardening. I hope you enjoy this girl as much as I do! My beloved friend Courtney and I have been thinking of the many ways we are alike. We’re both committed to social justice, particularly as it pertains to our neighborhood, and we live within a few blocks of each other. At our respective non-profit full-time jobs, we’ve collaborated on events and campaigns and I genuinely love working with this chic. Her heart beats to see mercy and peace and joy throughout our community and her heart breaks for injustices against our neighbors. She has a gift for seeing the positive in difficult situations, and she’s quite the mover when construction crews threaten an event. But of course, this is mostly a food blog, so let’s get down to it… we are both in love with all baked goods and the process that produces them. There is a difference we have discovered though. 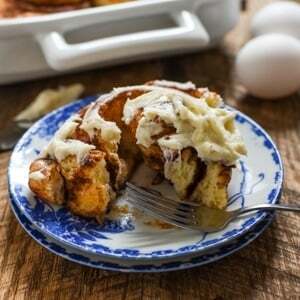 She loves to bake goodies that you can turn out of the pan and that are ready to eat with just a glaze or drizzle on top and it’s all done and looks creative and warm and homey. I am drawn to items that allow me to unite my creative side with my obsessive compulsive need to make things “just so”. I want to carve, color, swirl, pipe, and sprinkle. A baby shower is the perfect place to display pretty, graceful, fun treats. These cake pops were for a baby boy, so ALL things were blue, down to the mom and aunt’s pedicures. I was charged with making delightful cake pops for a classy event. Cake pops are fun and easy. I’m typically an all-things-from-scratch kind of mom. I want to know what is in my cake and be able to pronounce all the ingredients. But cake pops don’t work well with most from-scratch cakes. So, trek over to your favorite baking aisle and venture into the box-mix section. And don’t flee too quickly, you’ll also need canned frosting. Find a way to keep the cake pops upright and separated after dipping. You can poke them into styrofoam, a cardboard box, or an egg carton, or stand them up in a juice glass. Once dry, cake pops can be stored in an airtight container laying down. They shouldn’t stick together. Don’t skip the freezing step, no matter how tempting it may be. Bake the cake as instructed in whatever pan you want. Want brighter cake? Add food coloring to the batter. Crumble the cake into a very large bowl - feel free to use your fingers if you're the messy type, I prefer a wooden spoon. Add spoonfuls of icing to the crumbs and mix. Don't go too nuts here - too squishy will fall off the sticks. A regular box mix doesn't need even 1/3 of a container of frosting. Cakes that are naturally more moist need even less. The only way to know it's ready is to roll a tight ball - if it is crumbly add a small spoonful of frosting again and stir. Roll into balls tightly with your hands. For special occasions, you can also shape the balls into different shapes (footballs, squares, eggs, etc). 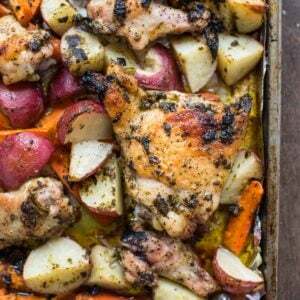 Place on a cookie sheet and freeze. This is especially important if you're putting them on sticks later. Finally, finish however you like. If you want them on sticks, push the stick into the frozen ball no more than half way. If not on a stick, use a toothpick to dip or set on a tray to top. Drizzle with thinned frosting, dip in melted chocolate, sprinkle with powdered sugar - whatever your pleasure. For mine pictured here, I used melted white chocolate chips, tinted blue with Navy Blue Oil Color (available at your supply store). This week we’re celebrating April Showers with the #SundaySupper family. Whether you’re celebrating a bride, a baby, a homecoming, or just partying for the heck of it, we’ve got you covered. Check out all the great recipes below for more ideas to spice and sweeten up your next shower. Feel free to share some of your shower favorites with us on Twitter at 7 PM. Join the conversation by using the hashtag SundaySupper. Slushy Mango Mojito from The Urban Mrs.
Whoa, Cathy is SO talented. I stink at dishes that require any sort of precision as well, but thank goodness you have a wonderful, generous friend! Beautifully done! I know Lizzy! Me too! I’m hoping some of her skills will rub off on me. So cute! I have never made cake pops before and now I want to!! Love the recipe and your pictures! Those are so cute and are definitely perfect for a shower! Great tips!! Thanks so much for sharing! I have yet to make these but they don’t seem as hard as I thought they would! Those are perfection, so pretty and they look so very good!! Now I want a cake pop!! Okay these are adorable. And that turtle cake totally blew my mind. I know, right? Crazy awesome. Wow! When I first saw the photo I immediately thought of Charlie and the Chocolate Factory. So vivid, so perfect, and so fun! Great tip on making the cake pops too. I understand they are as challenging as cute. They do look like they’d fit right in to that magical place! Beautiful! I LOVE the color of these! Oh my goodness her cake pops look so perfect. Mine aren’t bad but the decorating on these look so professional. And don’t even get my started with that incredible turtle cake. I have actually had a lot of success with home made cakes for my cake pops. The best ones were carrot cake pops. But I will confess using store icing does yield better results. One day I will figure that one out. Oh my word…carrot cake pops with cream cheese frosting would be incredible! Beautiful! 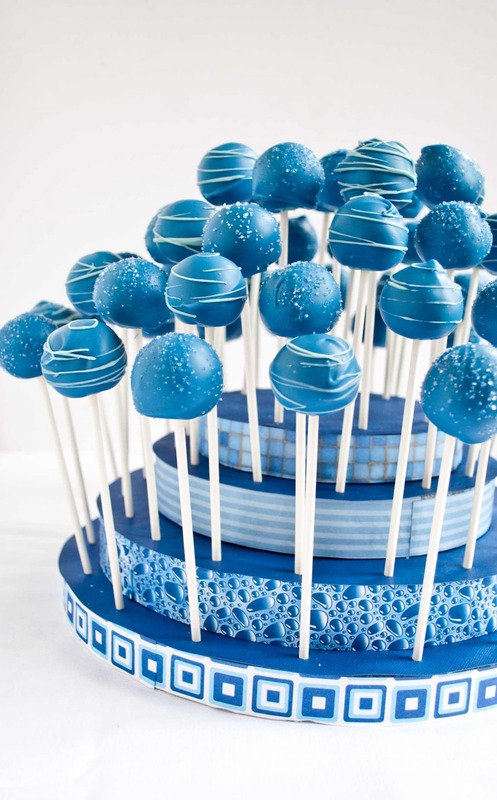 Such perfect cake pops. I’m impressed. WHOA MAMA! 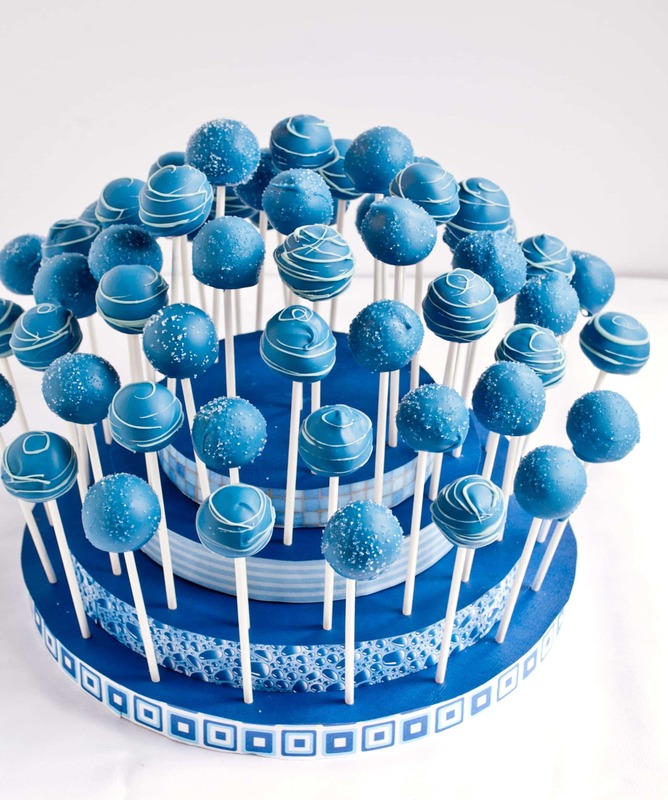 I’m so impressed – Cathy’s cake pops look ah-may-zing! 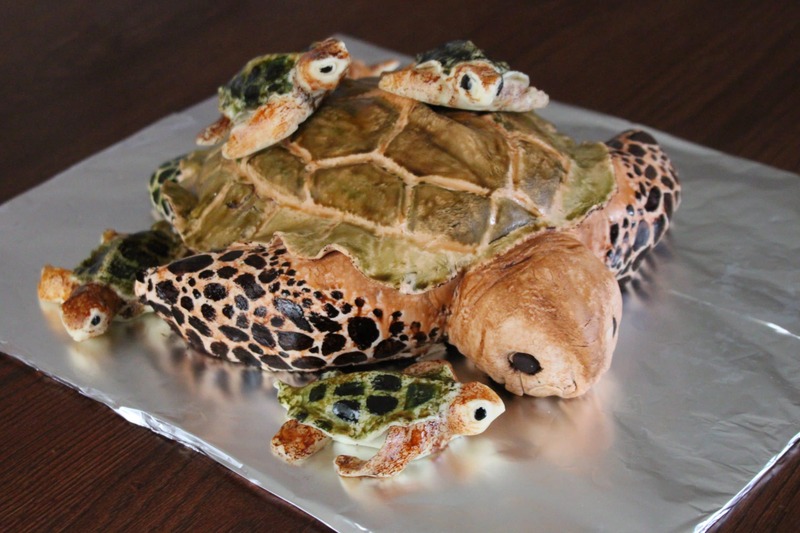 And that turtle cake is out of this world – there’s no way, no matter how much practice I get, that I’ll ever be able to make something like that. The cake pops, weeeeeell, maybe (although they’d probably look all misshapen instead of spherical). Thanks for sharing this post, ladies!